Whatever happened to the Digital Economy Act? 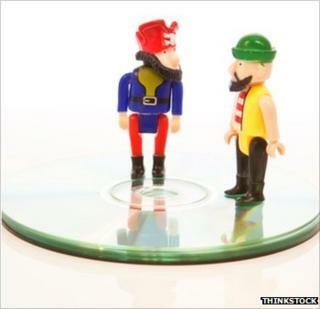 The UK's Digital Economy Act (DEA) was meant to make pirates quake in their boots, but so far it has failed to shiver any timbers. Parliamentarians, policymakers and industry leaders gathered at a seminar in London this week to ask why. The guilty-looking elephant in the room turned out to be the DEA itself. It is currently languishing in Brussels, waiting for the European Commission to approve changes to who should should pay for implementing it. Meanwhile the code drawn up by Ofcom a year ago to lay out how it will work in practice is lying in a drawer in the Department of Culture. The Digital Economy Act (DEA) has always been controversial. Originally conceived by the Labour government, it was rushed through parliament in the wash-up at the end of its administration. It has been subject to various changes but, at its heart, remains a letter-writing campaign aimed at making those identified as downloading films and music without paying for them think again. Anyone receiving three warning letters goes on a blacklist and could face legal action. The rights-holders who lobbied so hard for the legislation seem to have got fed up with waiting for it to come into force and are already setting their sights on new targets. Trevor Albery, Warner's anti-piracy vice-president, told the conference that the written warnings were only one strand in its ongoing battle against pirates. Now, he said, it is turning its attention to Google and Facebook. There are growing calls for search engines and social networks to get involved in the fight against piracy, with some calling for search engines to de-list sites linking to illegal content completely. In a recent speech culture minister Jeremy Hunt said that measures along these lines could be introduced in the upcoming new Communications Act. PRS for Music, which oversees rights issues for the music industry, is also looking at new ways of alerting people about illegal content. Frances Lowes, its director of regulatory affairs, outlined a traffic light system the firm would like to see put on search engines to allow the public to distinguish between legal and illegal sites. Rightsholders are also finding quicker and more successful ways of blocking access to illegal sites. Newzbin, a site which links to illegal downloads, will shortly be blocked by the UK's biggest ISP BT, following a successful court case brought by the movie industry. It is expected that other ISPs will soon also face court orders to block the site. Okke Delfos Visser, deputy general counsel for the Motion Picture Association of America could barely contain his glee that the bete noire of the industry appeared finally to be tamed. "It is a criminal organisation whose business model is based on wholesale copyright infringement," he said. The victory has turned the heads of the creative industry, thinks Andrew Heaney, director of regulation at TalkTalk and the company that has led the anti-DEA campaign. "Two years ago the creative industries said they couldn't live without the DEA but now they are all focused on site blocking. It is no longer top of the agenda," he said. The creative industries may be winning some small battles against the pirates but the larger war is far from over, the conference heard. James Myring, from market research firm BDRC Continental reported that a new breed of "supapirates" remain unfazed by the threat of legal sanctions. So-called supapirates are tech-savvy, usually male consumers who delight in finding new ways to get at free content. They make up just 15% of 1,000 people the firm interviewed but their influence went far wider, he said. "They like the idea of getting around blocks and are happy to share what they get with friends and family as well as giving advice on how to do it," he said. Such pirates are sharing whole hard-drives worth of free stuff with others and, said Mr Myring, there were plenty of "second-hand pirates" happy to take advantage of it. While the creative industries who lobbied for the DEA have always been keen to stress the measures are more about education than punishment, persistent pirates may face court action. But Simon Clark, head of intellectual property at law firm Berwin Leighton Paisner, warned copyright holders to "tread carefully" if they wanted to bring legal proceedings. Recent high profile cases brought by ACS: Law and its predecessor Davenport Lyons had put judges in no mood to support file-sharing actions. In both cases, judges found in favour of the accused and the law firms ended up facing heavy fines. "The courts will be protective of individuals. My advice would be tread very carefully," he said. Critics of the DEA and punitive measures against pirates have long argued that the real answer to the problem lies in compelling legal alternatives. But, according to the Open Rights Group, legal alternatives remained difficult to get hold of, poorly priced and are of questionable quality. It found that only 43% of the top 50 British films can be bought or rented online while only 58% of the BAFTA Best Film awarded winners since 1960 have been made available. "A wealth of British cultural history is simply not available through legal providers," ORG's Peter Bradwell told the conference.